62445301681 ;jsessionid=10179114rufchprgs514jp8i133gbc2.10179?wicket:interface=:0:beta-club:modal-container:modal-content:content:body:login-rixty-form:visibilityContainer:fbconnect::IActivePageBehaviorListener:1:2&wicket:ignoreIfNotActive=true It seems like your browser is preventing Facebook Authentication. This happens when your browser's Tracking Protection is enabled. To continue logging in via Facebook, please turn off Tracking Protection or use a different browser. 62445301681 ;jsessionid=10179114rufchprgs514jp8i133gbc2.10179?wicket:interface=:0:login-panel-small:login-small:login:modal-container:modal-content:content:body:login-rixty-form:visibilityContainer:fbconnect::IActivePageBehaviorListener:1:2&wicket:ignoreIfNotActive=true It seems like your browser is preventing Facebook Authentication. This happens when your browser's Tracking Protection is enabled. To continue logging in via Facebook, please turn off Tracking Protection or use a different browser. 62445301681 ;jsessionid=10179114rufchprgs514jp8i133gbc2.10179?wicket:interface=:0:login-panel-small:login-small:signup:modal-container:modal-content:content:signup-form:fbconnect::IActivePageBehaviorListener:1:2&wicket:ignoreIfNotActive=true It seems like your browser is preventing Facebook Authentication. This happens when your browser's Tracking Protection is enabled. To continue logging in via Facebook, please turn off Tracking Protection or use a different browser. 62445301681 ;jsessionid=10179114rufchprgs514jp8i133gbc2.10179?wicket:interface=:0:redeemcode:modal-container:modal-content:content:body:login-rixty-form:visibilityContainer:fbconnect::IActivePageBehaviorListener:1:2&wicket:ignoreIfNotActive=true It seems like your browser is preventing Facebook Authentication. This happens when your browser's Tracking Protection is enabled. To continue logging in via Facebook, please turn off Tracking Protection or use a different browser. Publisher: GamesCampus GamesCampus is the leading destination for online sports games featuring Shot Online, MLB Dugout Heroes, and Cue Online. 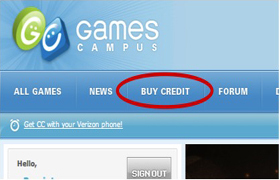 • Log into your Gamescampus.com account. 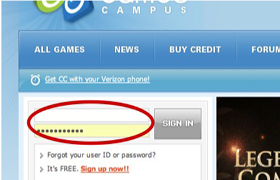 If you don’t have an account yet, sign up for your free GamesCampus account. • Select "Select Add CC, Purchase CC". 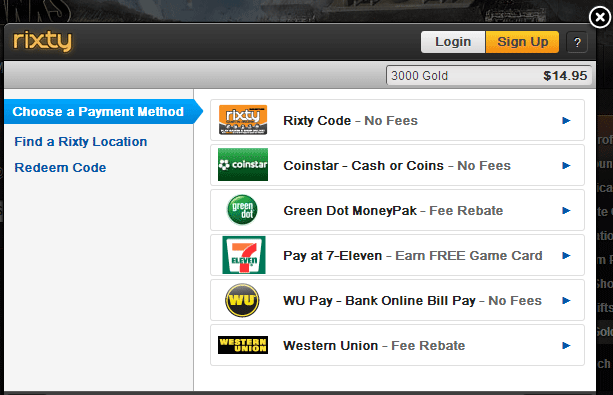 • Redeem your prepaid code. 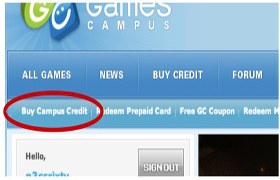 Your Campus Cash will automatically be credited to your GamesCampus account. 62445301681 ;jsessionid=10179114rufchprgs514jp8i133gbc2.10179?wicket:interface=:0:microsite:microsite-inner:epins-wrap:epin:0:checkout-form:price-btn:modal-container:modal-content:content:body:login-rixty-form:visibilityContainer:fbconnect::IActivePageBehaviorListener:1:2&wicket:ignoreIfNotActive=true It seems like your browser is preventing Facebook Authentication. This happens when your browser's Tracking Protection is enabled. To continue logging in via Facebook, please turn off Tracking Protection or use a different browser. 62445301681 ;jsessionid=10179114rufchprgs514jp8i133gbc2.10179?wicket:interface=:0:microsite:microsite-inner:epins-wrap:epin:1:checkout-form:price-btn:modal-container:modal-content:content:body:login-rixty-form:visibilityContainer:fbconnect::IActivePageBehaviorListener:1:2&wicket:ignoreIfNotActive=true It seems like your browser is preventing Facebook Authentication. This happens when your browser's Tracking Protection is enabled. To continue logging in via Facebook, please turn off Tracking Protection or use a different browser. GamesCampus is the leading destination for online sports games featuring Shot Online, MLB Dugout Heroes, and Cue Online. No matter what your game is GamesCampus is your sport fix. 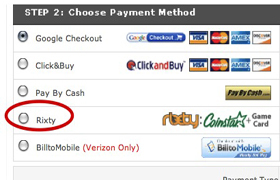 Login to your Rixty account and complete the purchase. 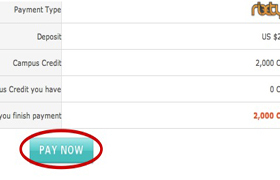 If you need to add funds, click a payment method and follow the prompts.